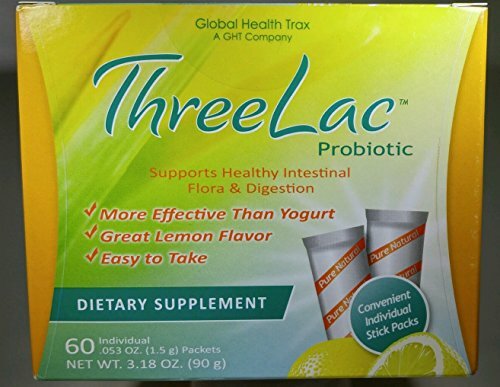 THREELAC is a lemon-flavored, nutritional food supplement composed of Three Live Bacteria: Bacillus Coagulans, Bacillus subtilis, and Enterococcus faecalis. Scientists estimate that 70 percent of people have Candida colonies in their intestines or mouths or on their skin. In most cases, the organism is commensal; it does not harm people, even though it depends upon them for food. However, colonies of Candida sometimes grow too large, as happens in the case of yeast infections. Vaginal yeast infections are a common and painful problem for a significant percentage of women. The oral form of Candida infection, known as thrush, is a common problem for infants.